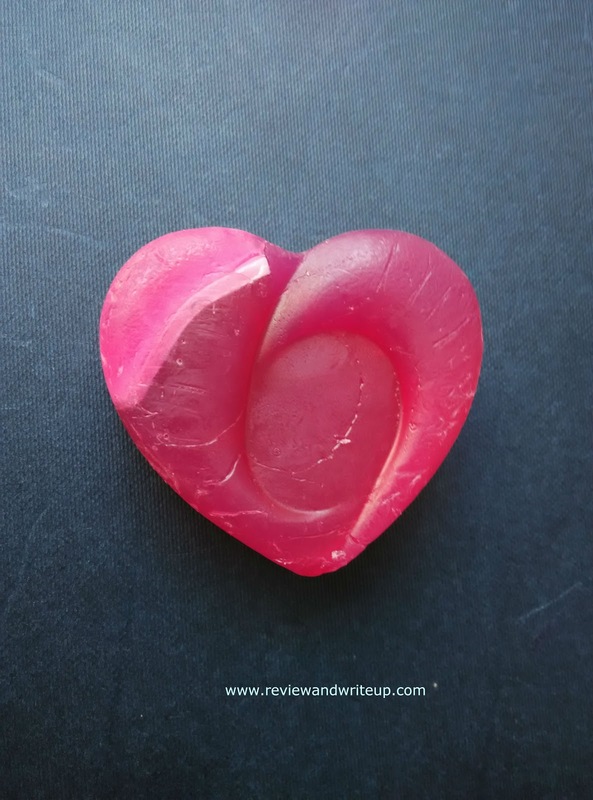 You know that how much I am in love with Fuschia soaps these days. I have already tried their cucumber detox and papaya de tan soaps on R&W. I know you are excited to know which one I got this time. I am telling you just because you have requested a lot, ha ha I got Fuschia Opium Handmade Soap. 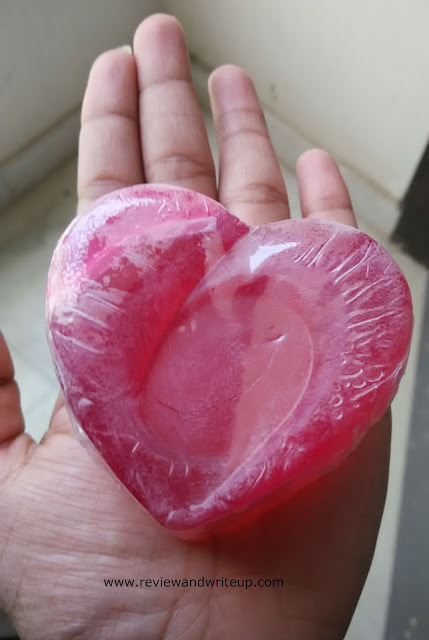 Packaging – The heart shaped soap comes wrapped in a plastic sheet. You might get soap sealed in a kit or any other kind of packaging. 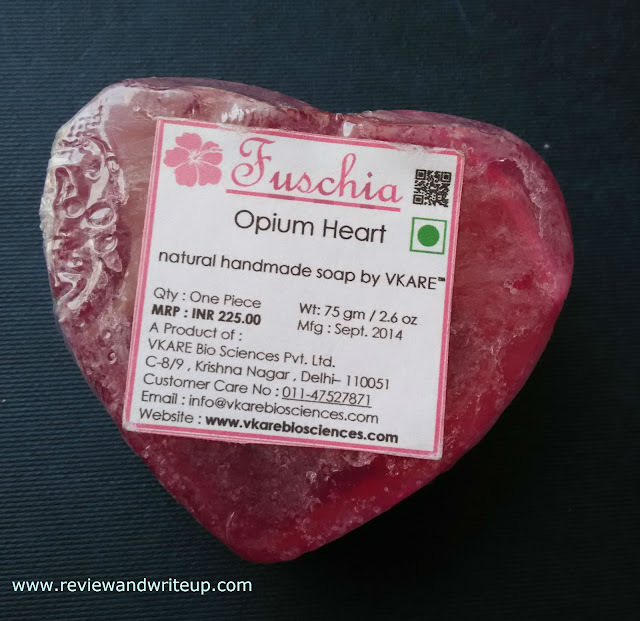 I wished Fuschia has wrapped this one also in beautiful printed paper like other soaps or some other way. My Experience With the Product – Fuschia soaps are made of 100% natural ingredients and all its soaps are handmade. These are 100% vegetarian. 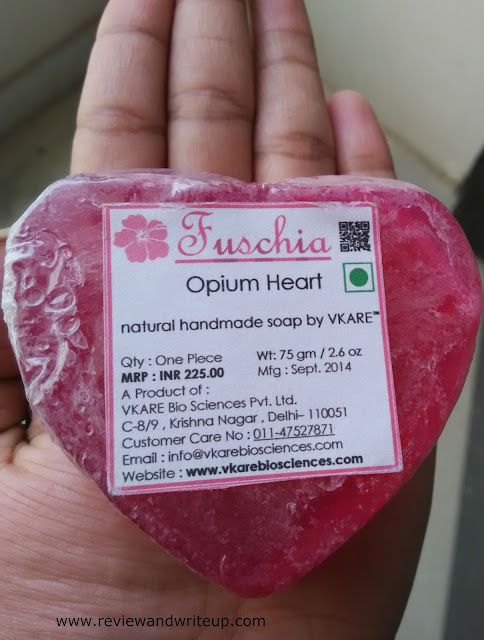 Opium Heart has fragrance of opium flower fragrance. 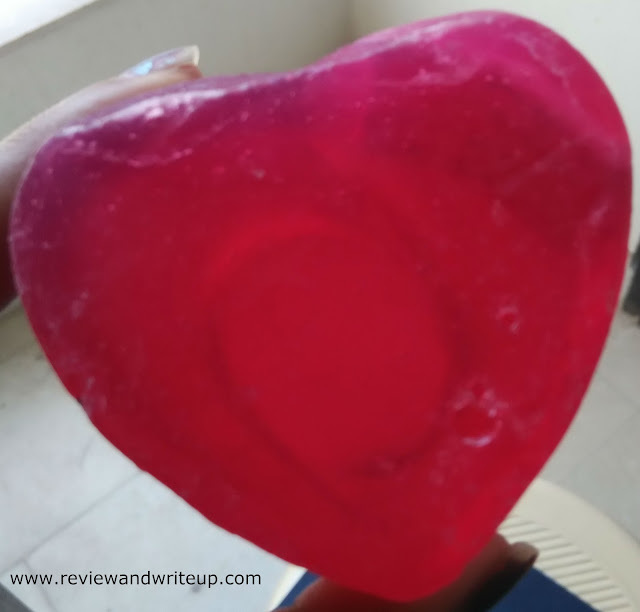 I was excited to use this soap for two reasons; one it was shaped and second it was in magenta-pink color. The soap smells good like that of some sherbet to me (I don’t know how opium flowers smell). Smell is good still as per my choice it could have been better. It has an effortless application. The soap forms creamy lather, works best if used with loofa. The mild fragrance is good. I wished for little strong once especially for this summer season. The skin feels refreshing, soft, hydrated post its use.